Daan Kolthoff's new book Basque Berets. 'Basque Berets' takes the reader on an exploratory journey through the rich world of the Basque beret. From the far right to the far left and anywhere in between, beret wearers have made their mark. Ché Guevara, Ernest Hemingway, Pablo Picasso, Madonna, but also the Spanish Falange and ultra-conservative Carlists, South American gauchos and French 'Chasseurs Alpins'; they all share a love for a simple piece of round felted wool material. 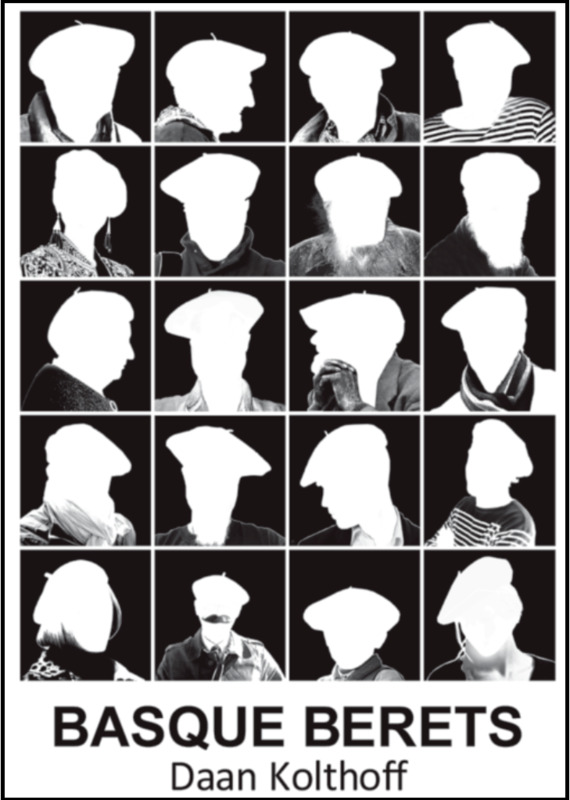 'Basque Berets' tells of the beret's history and origins, about famous people who adopted the beret, tells interesting anecdotes, talks the reader through the manufacturing process of berets, highlights groups of beret wearers and touches on its role within the military. Author Daan Kolthoff is a writer, living between the hills of Wellington, New Zealand and, when not writing, meditating or looking after his three daughters, he is usually researching, reading about or ordering berets from around the world. Order your copy of Basque Berets right here, at $ 29.95.